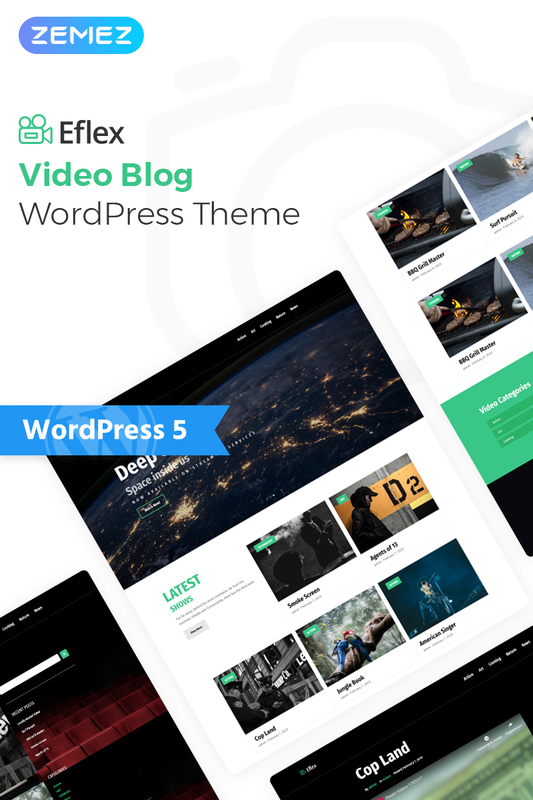 If you have a video blog and want to share it with as many as possible people, Eflex theme is a great solution for such a goal. 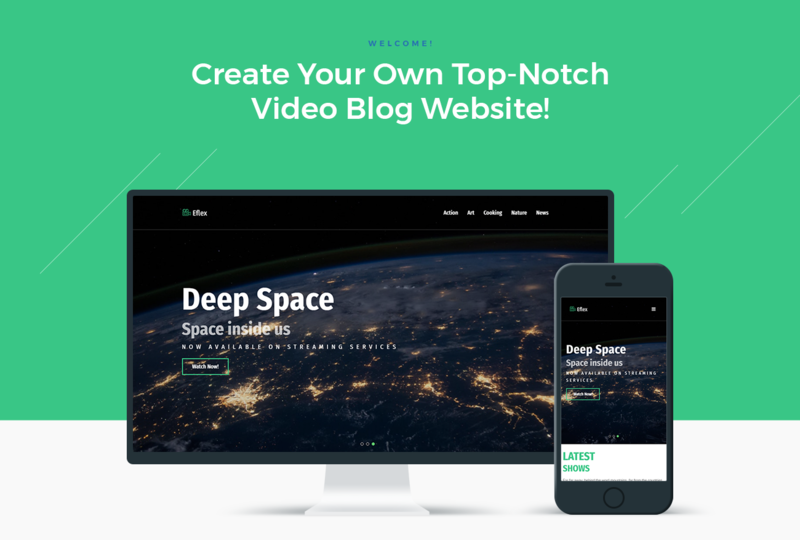 This theme will help you to show your video blog in the most attractive form. You will be able to showcase videos by categories in a convenient way, also you will display the latest shows on the main page of the website. It will be possible to customize your website according to your needs and vision using the powerful functionality of Eflex theme. Moreover, you will expand your opportunities in building a website of your dream using top-notch Jet plugins for Elementor page builder. With JetElements plugin you will enrich content with useful and stylish elements and apply different style settings to them without any coding knowledge. JetThemeCore plugin will allow creating custom headers, footers and special sections easily and quickly. Using JetBlocks plugin you will implement additional functionality to headers and footers. You will be able to use JetBlocks blogging widgets, which will assist to display posts in the most exciting way. Eflex is a responsive theme, which will help to engage more like-minded people.